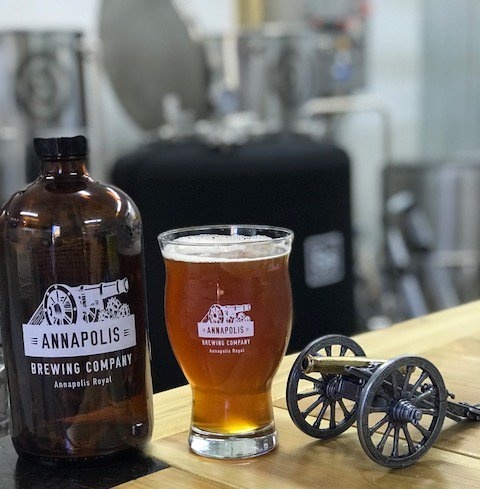 The Annapolis Brewing Company opened recently in Annapolis Royal. 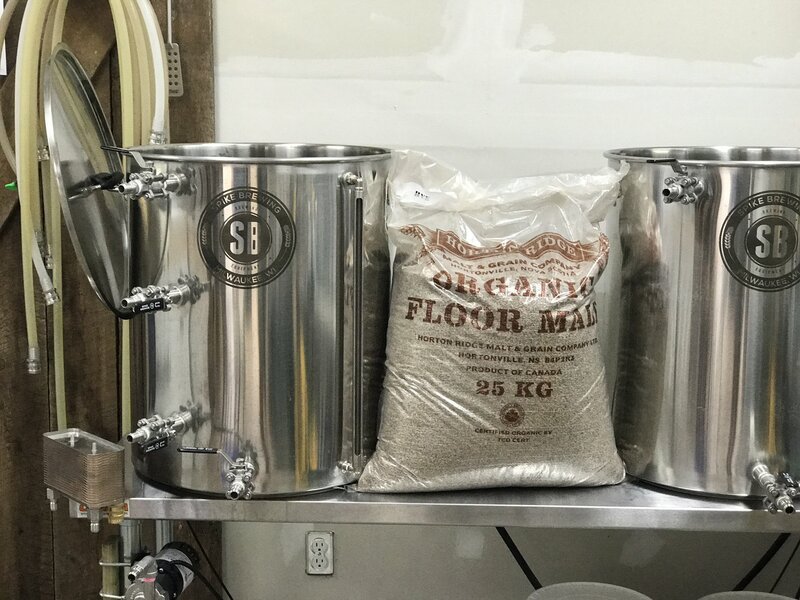 Local business owners and entrepreneurs Danny McClair and Paul St Laurent have turned their love of craft beer and homebrewing into a professional endeavour. We chatted with Danny and Paul to learn more about their beer and plans for the future. There is something to be said about holding a local glass of craft beer and smapling the diverse styles that are being produced on a smaller scale. W & A (Windsor and Annapolis) Railway Rye IPA: 6.7% ABV, 60 IBU (dry hopped with Citra). Our current model is growler and keg sales. We do not have a retail location at the moment, but people can reach out to us via social media to request their favourites. We will have a table at the Annapolis Royal Farmers and Traders Market in the future, too. Where can folks grab a pint of your beer? We are on tap at Ye Ole Town Pub in Annapolis Royal and Horton Ridge Malt and Grain in Hortonville, NS. Craft brewers in Nova Scotia are like family and are always happy to assist. The crews at Lunn’s Mill and Bad Apple Brewhouse have been a great help out of the gates. We plan to be on a 5 BBL system in early 2018 with plans to expand to a new building by the end of 2019. That location with have a taproom so visitors can enjoy our beer right on-site. 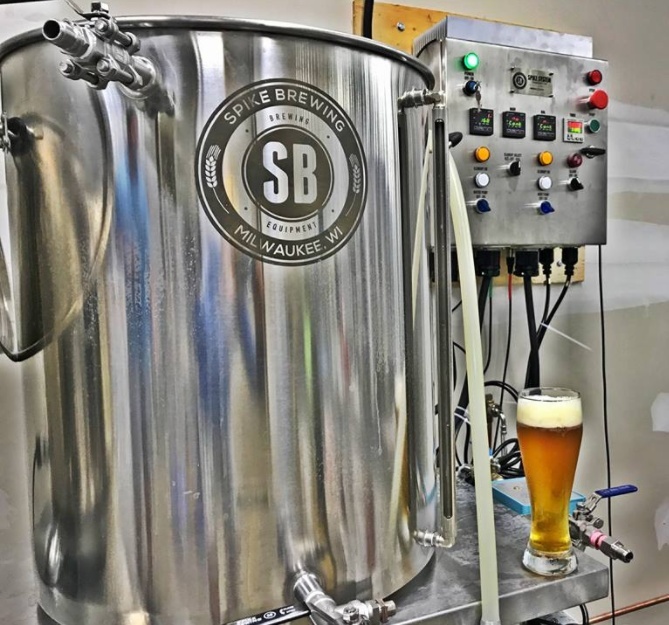 Can you tell us about your brewhouse system? We currently brew on a 1 BBL (120 litre) system from Spike Brewing, with 600 litres of fermentation capacity. We will be expanding the brewhouse to a 5 BBL (600 litre) system by Spring, with 1800 litres of capacity. Our favorite style is IPA. This beer style provides for so many varitations in colour, hops and taste. How can folks connect with you online? We are excited to join the Nova Scotia family of craft brewers. Cheers! Thanks to Danny and Paul for getting us up to speed with their operations in Annapolis Royal. Grab a pint of their Ceasefire IPA or W & A Rye IPA at Ye Olde Town Pub and Horton Ridge now, and we’ll keep you up to speed with their expansion in the spring. Welcome to the NS Craft Beer family, Annapolis Brewing!